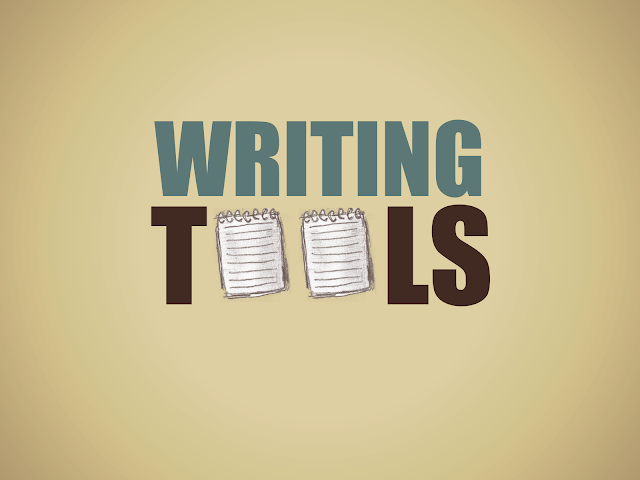 Your search for best online writing tools ends here. We have compiled a list of best writing tools for writers. There are many writing tools that you can access on your browser. Some of these are also used by professional writers. It does not matter if you are doing technical writing, fiction writing or novel writing these software for writers will prove handy for anyone to be more productive and focused on your main task of writing. Writing is a task that can only be done by a person who is passionate enough to write and loves the language. It is the writer’s task to keep readers engaged and informed. But when it comes to writing professionally there are certain things that are expected from the writer. There are several tools that are available to a writer especially in this age of technology that can keep him updated. There are several web tools that are available to every writer that can improve his/her output. These include tools for every dilemma that a writer may face. This is an online writing tool that helps the writer to enhance his skill by offering semantic and non linear text editing. Other tasks that can be performed with the help of this tool include separation of content, application of filters, tabs and so on. This tool is especially for the writers who have long and complicated manuscripts to deal with. It is also possible to edit dissertations, and other documents. This is also an online tool that helps the writer deliver the best work. This is a powerful word processing tool that is preferred by the users of Mac computers. It is in particular useful for essay writers, screenplay writers and novelists. This is unique as it is meant for story writers alone. There are tools which help a writer to keep track of the plots, timeline, locations and characters. As the name suggests this is a tool for stage and script writers. It is possible to plan a scene and also include small nuances in the screen play. It costs $ 69.99. This is an online writing tool that is the least confusing. It offers simple layouts and features that are easy to use and not overwhelmingly difficult. The price for this tool is $39.95. This is a text editor and helps a writer perform his task quickly. The file format that is used by this tool is PDF and is a well accepted format today. The tool costs $49.95. This is an online text editing tool that helps to create simple and great documents. It provides text editing as well as various styles, templates, and header/footer functionality. It is priced at $ 5.99. This text editor comes with many attractive features like customizable keyboard shortcuts, multiple clipboards and so on. This is a powerful app that you can buy for just $11.99. This is perhaps one of the cheapest text editing tools that you can get. Despite the fact that some features are missing, it offers what you will need for just $0.99. This is a free, online text editing tool and is used on iPhones to provide the neat, simple but attractive features. This is a free app but provides every feature that a writer may need. It is simple to use and also gives the freedom that a full screen app allows. This is an app that is useful for writers who prefer to write HTML and it helps them to do so in simple, easy to read versions. The features that it provides include syntax highlighting, full screen mode and also alive preview. It costs $24.99. This is also a Markdown app. It offers a very good full screen experience and serves as an online text editor. It is rather cheap for the experience it offers at $9.99. This is also a very low priced Markdown app which helps the writer to get a live preview of the markdown files while working on it. It only costs $2.99 to get this app. This is a minimal writing app that offers a great interface and good features. It is very easy to use and only costs $9.99. This is also a minimal writing app that is probably the best in the market. It offers a full screen experience and has a distraction free interface. There are font choices and customizable color schemes. It costs $24.99 to get this app. This minimal writing app helps the writer to improve the content. It offers a full screen interface as well. It only costs $4.99. This is also a wonderful writing tool that can be purchased for less than $3. It offers much more than for what it is priced. This is a large online service marketplace and helps writers to get assignments. It offers a job board for freelancing writers. This site helps writers get jobs and also helps them to know more about grants and publishing. This site allows writers to get in touch with employers and also offers services like translation and writing. This is a site that offers writers several writing jobs and also helps them get copywriting engagements. This site is unique as it allows writers to get assignments based on their profile. Assignments that are offered include copywriting, technical writing and even journalism. This is an online tool that allows a writer to get all answers to his/her grammar queries. Every writer needs his/her work to be analyzed critically. The articles are submitted and an online community will offer tips to the writer based on the article that has been submitted. Joseph Porter is a freelance writer from Canada, who is working at the best cheap essay writing service company EssayServices and he does the professional help for getting best papers for the academic students. He has been working under this field for over 10 years. He also enjoys writing about current trends and innovations in education, technology and traveling.